the true story of the D day Spies. D-Day, 6 June 1944, the turning point of the Second World War, was a victory of arms. But it was also a triumph for a different kind of operation: one of deceit, aimed at convincing the Nazis that Calais and Norway, not Normandy, were the targets of the 150,000-strong invasion force. The deception involved every branch of Allied wartime intelligence - the Bletchley Park code-breakers, MI5, MI6, SOE, Scientific Intelligence, the FBI and the French Resistance. But at its heart was the 'Double Cross System', a team of double agents controlled by the secret Twenty Committee, so named because twenty in Roman numerals forms a double cross. 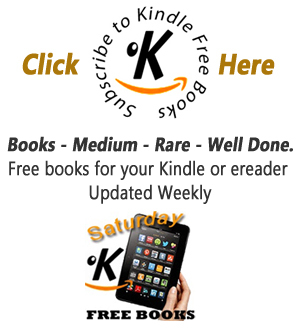 These double agents were, variously, brave, treacherous, fickle, greedy and inspired. They were not conventional warriors, but their masterpiece of deceit saved countless lives. Their code names were Bronx, Brutus, Treasure, Tricycle and Garbo. This is their story. 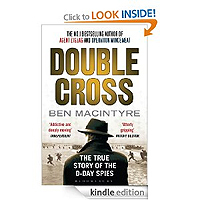 "Double Cross" is a fascinating account of how a group of German spies were `turned' by the British and the plot to deflect the Nazis away from the real D-Day landing site. Working closely with their Allied handlers this small handful of people were able to spin a tale of deception that kept Hitler looking the other way while the British, American and Canadian governments plotted a way into occupied France to liberate Europe. Even with all their excellent planning the run up to D-Day was incredibly tense and the deception was still no guarantee of success. In fact many men were hurt or killed during the Normandy landing. I shudder to think what the outcome could have been without these spies and the plot masterminds. Macintyre does a great job of guiding us through the multiple spies, their Axis and Allied code names and their coordinated spy masters. There's a chart at the beginning designating all the players but Macintyre takes pains to clarify everyone throughout the text. It can nonetheless be a bit muddy to keep straight. The back stories of agent are fascinating and show their humanity. Each spy has their own unique reasons for being a double agent. Though some are idealists others seem like mere adventurers, some as opportunists, others just want to stay off the front lines or make some easy money. I believe that no matter what their initial reasons for turning double agent in the end they decided to do what was right for themselves, their families, and the world. They did so at great personal danger. Macintyre has a sly sense of humour when describing some of these character's foibles. There are hilarious sections where he describes pigeon agents (yes, I mean the birds were being taught to dissemble for Britain) who were sent to Germany to overthrow the native birds. They would do this by infiltrating German roosts and when discovered it was hoped the German would annihilate the wayward pigeons and their own message carriers. Then the Nazis would have no way to sneak message by bird into Britain. Take THAT you evil doers! To bolster Britain's cover that a vast army was assembling across the channel from Calais, poised to invade there rather than at Normandy, a decoy army complete with planes and barracks were made of wood, canvas, and glue. He describes how FUSAG's (First United States Army Group) props were sometimes nibbled and destroyed by wayward cows. Luckily the Germans never got close enough to spot the foil. It was Macintyre's ability to make these incidents and people come alive, to show their dedication and passion, which made this book sing. There's even a (to me and I bet to many) surprise ending! In the afterwards he describes what these spies did after the war. Macintyre manages to make clear a very intricate plan and an even more complicated group of people. Great stuff.